Did you know that SSAA members can also join their state Conservation & Wildlife Management Branch to undertake pest control activities? 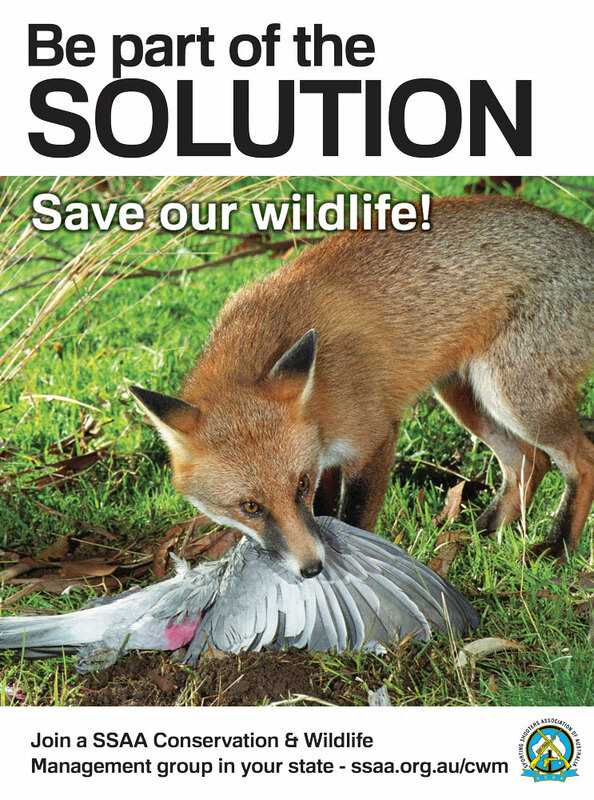 Within the SSAA structure, we have Conservation & Wildlife Management (CWM) branches that also assist in the conservation of native animals and the management or eradication of feral species in a coordinated manner. In order to participate in these branches, certain skills must be demonstrated. An accreditation program consisting of map reading, navigation, firearm safety and handling, wildlife appreciation and management, living in the field, ethical hunting and first-aid courses must be passed along with shooting accuracy testing. CWM branches are involved in ongoing pest animal control in national parks for the benefit of native animals and plants. This is either through direct participation or in an advisory role in conservation projects. These activities are carried out in conjunction with government agencies, local governments and like-minded conservation groups. 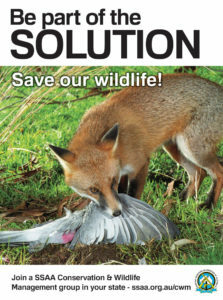 Organised culls on feral cats, donkeys, foxes, goats, rabbits and pigs have taken place in the Simpson Desert, the Flinders and Gammon Ranges in South Australia, Gregory National Park in the Northern Territory, Pilliga, Wagga Wagga, Hillston and Ivanhoe in New South Wales, the Murray Sunset region in Victoria and various places in Queensland. These volunteer pest control groups provide vital services that help maintain the fragile balance of the Australian ecosystem. Members perform a variety of tasks including controlling feral animals, collecting data, assisting landholders in checking fences, dams and stock, managing vegetation, assisting with native animal surveys and counts and maintaining ecological communities. There are more than 1000 CWM members nationally. To become a member of a CWM branch, you must first be a member of the SSAA. CWM programs are designed to be a self-sufficient community service to the government, landowners and managers. They are not dependent upon government funding. CWM is a totally volunteer organisation.